You can feel perfectly safe in entrusting your finest antiques and most cherished silver heirlooms to our craftsmen. We understand and love fine silver. This is our life’s work. Your silver is in safe hands at Antique Metal Finishing. Masters in the art of flawless restoration. We also do refinishing and restoration of fireplace sets, brass beds, lamps, and chandelier rewiring, and many other items to numerous to mention. Dents removed, items straightened and repaired. Silver, Gold, Brass, Copper and Nickel. Have an old item that needs silver plating? Proudly serving Los Angeles and Orange County, Antique Metal Finishing is conveniently based in Long Beach CA, since 1949. We are a full-service metal restoration shop. We bring back the shine, restore, and replate fine silver. This is our life’s work, our pride, our art of flawless restoration. What is Quadruple Silver Plating? 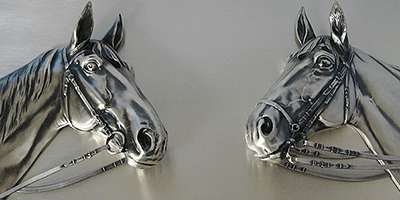 Silver plating became very popular in the 19th century, during the Aesthetic Movement. From England to the United States, beautiful silver sets, silverware, and holloware were commonly used at dinner parties. The silver industry was booming and the care of silver was top of mind for people to showcase their wealth. 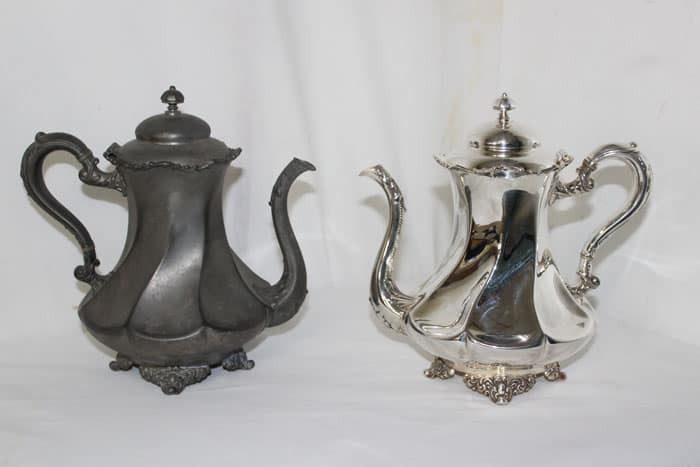 Heavily plating your silver items was the way it was done from the mid 1800s to the 20th century. Quadruple Silver Plating is not electroplating your item 4 times but using 4 times as much pure silver, better known in the industry as .925. This is the way it was done in the 1800s. And, since 1949, when our company was founded, we have also quadruple silverplated our customers family heirlooms. Our craftsmen quadruple silverplate the way is was done in the 1800s during the Aesthetic Movement. What we Quadruple Silver Plate? Antique Metal Finishing is equipped with 4,500 square foot electroplating facility. In addition, we are staffed with expert silversmiths.